Classic Film and TV Café: When Men "Were Men as Men Should Be"
in the Land of Darkness. You can listen to this classic song on YouTube. 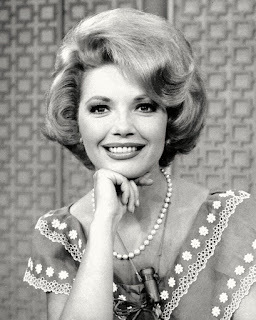 I didn't have to--I can still remember the tune and the lyrics. After all, these guys were "men as men should be" and that's pretty manly stuff. he's also known as the "Blonde Hercules." 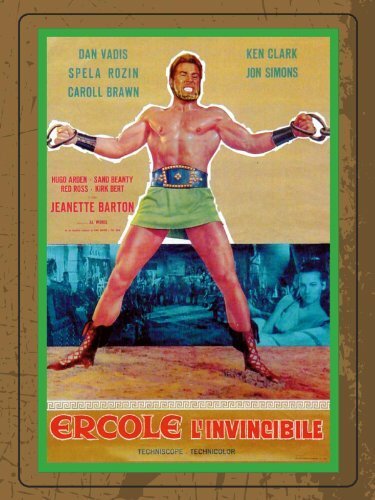 There are at least a dozen of these Sons of Hercules movies, pitting the title character against Medusa (who looked like a rubber tree), the Devil of the Desert, the Mole Men, Fire Monsters, the Terror of Rome, and more! Most of the time, the hero was played by an unknown Italian actor, but sometimes the lead went to better-known, second-tier muscle men like Kirk Morris, Dan Vadis, and Mark Forest. Made in the early-to-mid 1960s, these films weren't very good...but I still watched them and my Dad even joined me occasionally (I swear...there's something hypnotic about that song). Here's the kicker, though. Years later, when my wife and I were doing some film research, we learned that there were no Sons of Hercules movies. These films were actually about Maciste, with an occasional Hercules or Goliath movie tossed in. A savvy producer had simply packaged them for TV, retitled them all so they appeared to be a Sons of Hercules series, and added that catchy song. Yes, I was disillusioned. I consoled myself, though, by humming the famous theme song. It didn't matter if the hero was really Maciste or Goliath or even the original Herc. They were all "men as men should be." Rick, you remind me of myself at times--a good theme song will make me watch some pretty bad stuff, too. 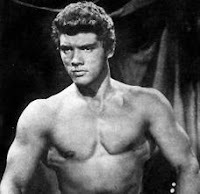 I don't think I've seen any of the Sons of Hercules films/series, and I suspect I might never. Yet, it was nice to read about your experiences with these films. 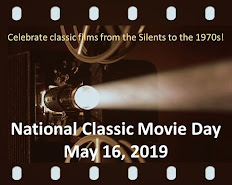 Some films we would otherwise forget sometimes find a special place in our memories because of who we watched them with or what was going on in our lives at the time. I love theme songs like this. The trick is to have a chorus of people singing the title and/or have it sung as a refrain. It makes it nearly impossible to forget the show's title! I can't remember any of the lyrics to the DJANGO theme song, but I certainly know how to sing, "Djan-goooooo!" I really enjoyed reading about men as men should be on Valentine's Day! This was a fun post, Rick! And it is fascinating what will stay with us over the years. Now that's a theme song! These movies were regular mainstays on Channel 32 on Saturday mornings in the Chicago area. They were all hard to keep straight, save for "Medusa Against the Son of Hercules" thanks to its most unique Medusa. Haven't seen it in decades, but I remember that Medusa. That's funny, Kevin, because Medusa is the only one I can remember, too! Rick, I have seen these Sons of Hercules movies too. The theme song is awesome and I hum it to this day. I cannot find it on iTunes so I enjoyed listening to it!! These movies are cheesy but hey, I like cheesy movies with fake background scenes and silly plots. If one of the Sons of Hercules movies was on TV tonight, I would watch it in a minute. My husband would laugh but he is a good sport and would watch it with me. Thanks for the memory of these mighty men. Enjoyed your review. PS...I will coming back to your post from time to time to listen to the theme song! I remember that series very well. Each episode had some superhuman feat of strength. The two I remember most were Maciste pushing a boulder off of a cliff that "a hundred men could not have moved" and the son of Hercules who stopped two chariots from tearing him in half.